1. Applications are invited for 2ND Counselling Post Graduate admission to the following MCI recognized disciplines at Sikkim Manipal Institute of Medical Sciences for the academic session 2019-20 under General Category & Management category. 2. Selection will be based on NEET PG 2019 results for PG Admission. 3. Last date of receipt of duly completed application form at SMIMS is 15th April 2019. 5. Only Online forms will be accepted. 6. Please visit www.apply.smu.edu.in/www.smu.edu.in for filling up the application forms online. The seats for all the courses offered by SMIMS can be secured only by merit in the qualifying examination. 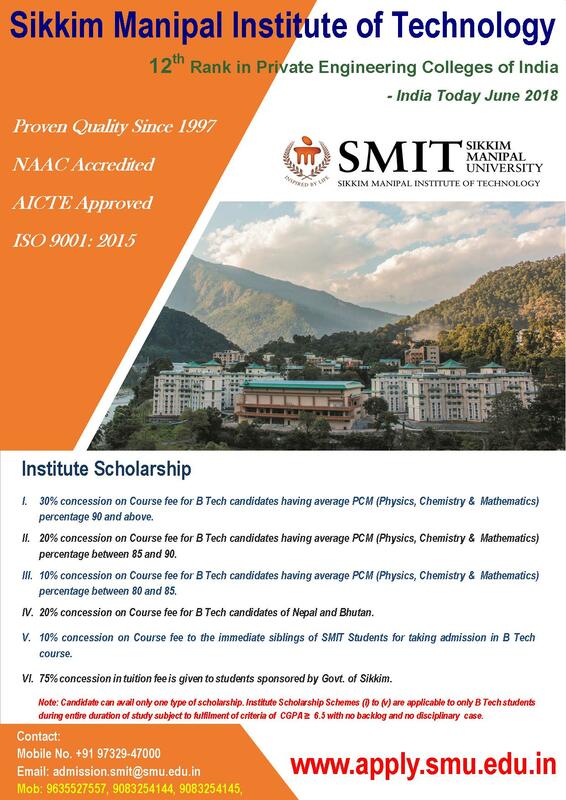 SMIMS has no agents or middlemen for admissions. There is no donation or capitation fee of any kind.